- Vesper Road and Morris Lane are NHS Doctors surgeries based across two sites in Leeds. Vesper Road and Morris Lane run as a joint practice working hand in hand with patients, however with two buildings and two telephone systems, and therefore two numbers to dial, this has left patients not knowing that they can use both surgeries for their treatments. The old telephone system also meant calls to one another were classed as external calls. The combined surgery needed a cost effective but modern solution. With their old system, each feature was charged as a bolt on, adding extra costs for features such as voice recordings. Legally the surgery is contractually obliged to record calls so it is an essential feature with potential high costs. They were keen to update their technology and improve the current service and responsiveness they show their patients, they had previously made the decision not to upgrade as they believed it would be costly and difficult to implement. 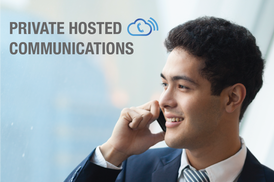 ​“The new Technology Group system has dispelled all our previous hang ups about hosted telephony and new technologies. Features which are included within the inclusive price such as automatic call recording has helped as a reference for queries and complaints whilst complying with the surgeries legal obligation to record calls. The new secure system allows them to instantly find their call recordings through simple filtering, saving valuable time searching for recordings. ​With on screen, telephone and mobile integration staff are able to improve responsiveness and always be contactable via the same number anywhere with an internet connection. The mobile app acts as a handset and has allowed/helped senior partners to stay connected outside of the surgery when at home or away using the same number. Call routing has meant calls between surgeries are answered faster in peak periods and patients are waiting less time in call queues. To help manage calls, staff also use their on screen app to easily transfer calls via drag and drop capabilities. The call reporting function helps provide vital management insight into response rates and abandoned calls, allowing resource issues to be identified, thus improving the overall patient experience and staff training. To manage opening hours, the surgery has now set up automated time profiles. Now when patients ring the main number out of hours, the call is automatically diverted to the out of hour’s service information helping them to get the support they need quickly. “The hosted solution is easy to use, staff have been transferring and making calls with ease from the off, The Technology Group’s onsite training made sure they were all set up to hit the ground running."